OSFM - Head Circumference: 21.5" - 24"
The Cascade S Lacrosse Helmet is the pinnacle of protection, comfort, and vision. The Super Mono S Shell creates a rigid system to manage from impacts by keeping the helmet's weight balanced and aligned. The Hardtail SPR-Fit is combined with customizable jaw pads and can be adjusted on the fly so you can have the comfiest fit. The Vision Bar provides a wide field of vision and offers enough coverage to keep you protected. 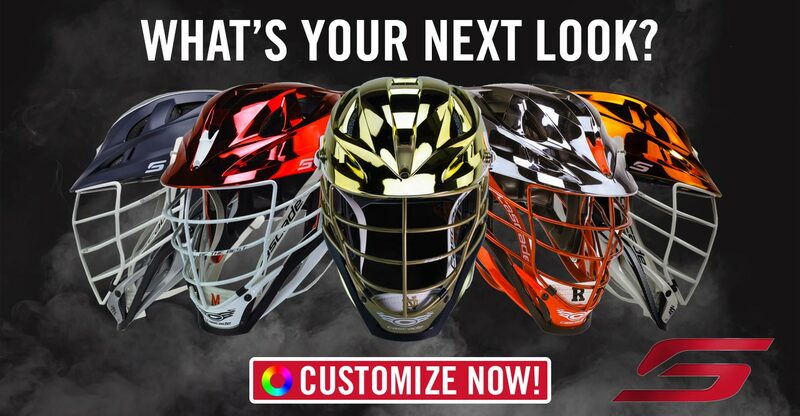 This Custom Lacrosse Helmet features an aggressive design that is distinctively Cascade. The Cascade S Lacrosse Helmet conveys speed, power, and performance like no other.